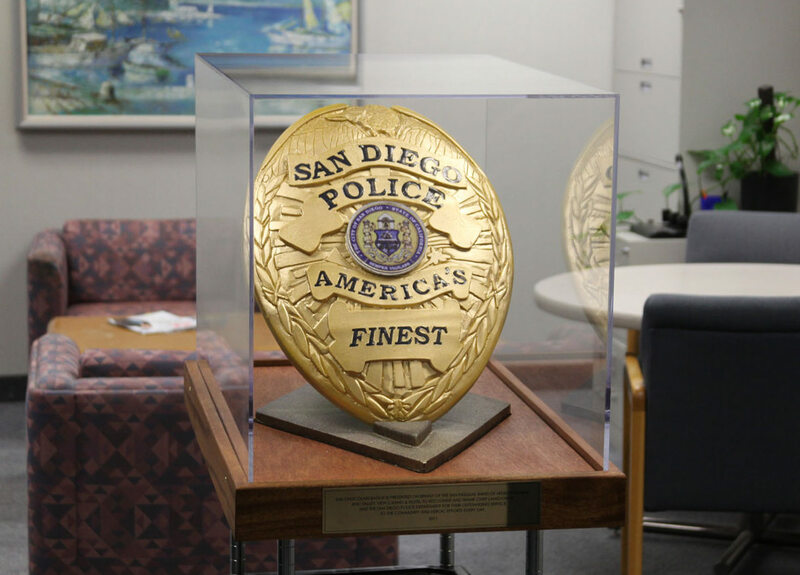 A 44-pound San Diego Police Badge made of pure chocolate. Talk about sweet-talking the cops! Valley View Casino & Hotel Executive Pastry Chef Daniel Sampson now has some new friends in blue. The talented chocolatier recently crafted an exact replica of a San Diego Police badge made entirely out of 44 pounds of pure chocolate. The amazing sugary sculpture was presented to San Diego Chief of Police William Lansdowne at the San Diego Police Foundation’s 11th Annual “Friends of the Badge” Luncheon. With the encouragement of Valley View Casino & Hotel, a major sponsor of the event, Chef Daniel and his team spent a total of five days creating the solid 26-inch by 17-inch chocolate masterpiece. Chef Daniel used over 44 pounds of white couverture chocolate to create the badge and its accompanying stand. Then Chef Sammy Chatluang spent two days hand-carving the badge’s exquisite details. The chocolate was then airbrushed with aureolin yellow cocoa butter and dusted with real gold. The team used 27.5 pounds of isomalt sugar to create two accompanying logos of the San Diego Police Foundation and the Valley View Casino Center. The showpiece was presented during the Chief’s Circle Reception to Chief Lansdowne and other members of the San Diego Police Department by Joe Navarro, president/CEO of the San Pasqual Casino Development Group, Inc., Valley View Casino & Hotel’s development arm, and Board Member of the San Diego Police Foundation. 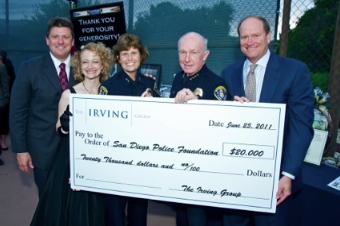 Craig Irving, President of The Irving Group, announced today that his company has donated $20,000 for the San Diego Police Foundation’s Digital Camera Campaign. This donation will allow for the purchase of 144 digital camera kits for the San Diego Police Department (SDPD), a top funding priority of the SDPD. Patrol officers will now have a full digital camera kit as a tool for gathering evidence when responding to calls. These cameras facilitate the immediate capture and efficient utilization of evidence during investigations that ultimately solve cases. In domestic violence incidents, the ability to photograph physical evidence, such as bruises, decreases the likelihood that the victim will drop charges against the perpetrator. Photographs also increase the likelihood of a conviction. The Police Foundation held its 11th Annual “Friends of the Badge” event (formerly Beyond the Headlines) on September 21 at the Valley View Casino Center to raise money and fund vital equipment for SDPD. The event raised a net total of nearly $125,000, with 528 guests, 101 SDPD officers, and 50 volunteers attending. This year’s luncheon was a tremendous success thanks to the leadership and vision of Foundation Board Members and Co-chairs, Ernie Hahn and Chris Ghio. The event showcased the latest in technology and equipment for the department, and also highlighted the need for critical equipment, as well as training programs that are vital to the officers working 24/7 in our community. 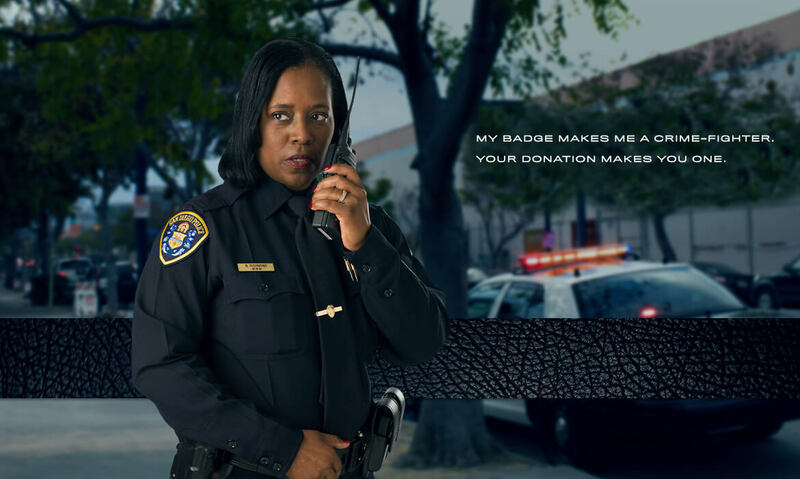 The San Diego Police Foundation raises funds, administers grants, promotes awareness of the public safety cause, and provides the SafetyNet: Smart Cyber Choices® program to keep children safe in cyberspace. 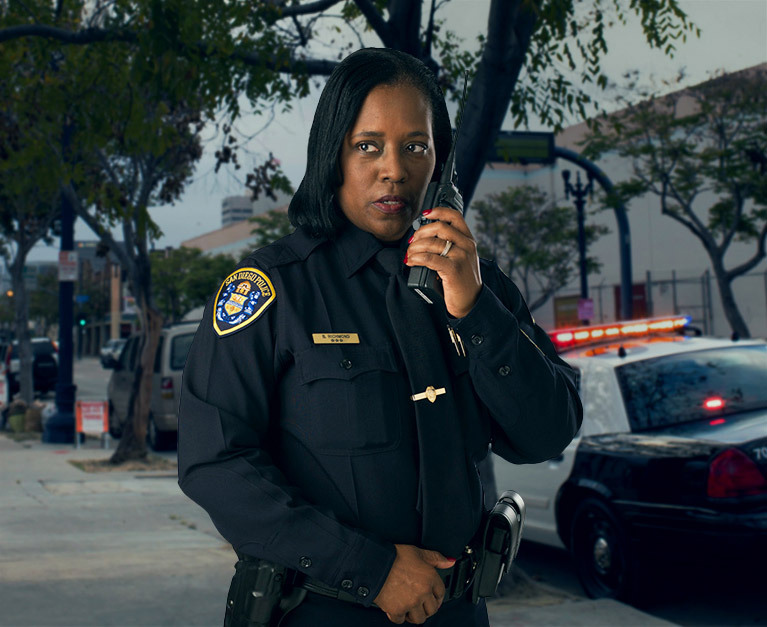 The Foundation exists to create a safer San Diego, online and on the street. Guests experienced unforgettable demonstrations by the K-9 and SWAT Units and CBS 8’s Marcella Lee emceed a powerful program honoring fallen officers. 2011 Foundation milestones, followed by a LIVE auction and impactful video rounded out the program. 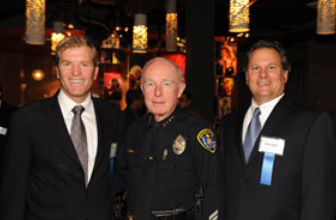 San Diego leaders Dan Shea, Ron Fowler, Craig Fuller and Erik Jenkins, and Art Barter pledged major gifts to launch the Foundation’s Police Council program. The Police Council welcomes supporters who give $5,000 or more in flexible funds to the Foundation. SDPF will host a special luncheon on December 16 for those who wish to join the Police Council, sponsored by Donovan’s Prime Seafood. “We must never take for granted the safety we enjoy, nor the men and women of the SDPD who protect and serve our community 24/7 year-round,” added Napoli. Thank you to our many table captains and sponsors, and to the dedicated event committee, volunteers and officers who worked tirelessly on this year’s event. 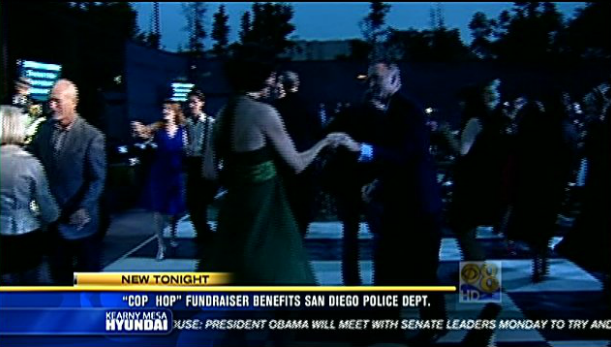 "Cop Hop" Fundraiser benefits San Diego Police Dept.